Kim D. Victor is Of Counsel to Thaler Law Firm PLLC. Previously, she served as the Managing Attorney of the litigation department of Thaler Gertler LLP, practiced at Hahn & Hessen LLP, and clerked in the litigation department of Paul, Weiss, Rifkind, Wharton & Garrison LLP. With over eighteen years of experience, Ms. Victor's practice focuses on representing business entities in complex commercial litigation matters, including corporation and partnership disputes, real estate development and construction actions, and fraud and negligence claims at the federal, state, and appellate court levels. She has considerable experience representing financial and lending institutions in matters involving breaches of commercial loan documents, including letters of credit, promissory notes, guarantees, and financing and factoring agreements. 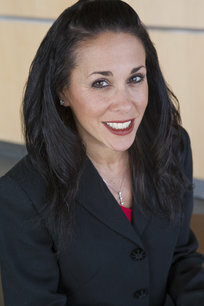 Ms. Victor also regularly litigates commercial issues in bankruptcy cases, representing creditors, creditors’ committees, debtors, and trustees in adversary proceedings involving preferences and fraudulent transfers, reclamation proceedings, actions for declaratory relief, and discharge objections. Ms. Victor utilizes her strong negotiation skills while advocating for business owners, financial institutions, creditors, and trustees. Ms. Victor’s experience ranges from representing the largest manufacturer of racing bicycles in the United States in a chapter 11 bankruptcy case, in which her handling of the liquidation generated more than five million dollars for the bankruptcy estate, to successfully litigating on behalf of Sirius Satellite Radio, Inc., a national, subscription-based digital satellite radio broadcasting service, in a matter involving a breach of a license and lease agreement. Ms. Victor succeeded on a motion for summary judgment, enabling Sirius Satellite Radio to continue its operations in New York. Ms. Victor is a member of the Nassau County Bar Association and the New York State Bar Association, and she is committed to mentoring law students through the Theodore Roosevelt Inns of Court.